Earth Care, uses absorbing granules to help remove odors, and is safe to use around children and pets. 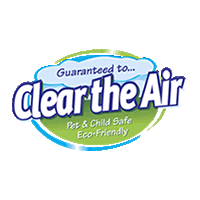 Clear the Air, Earth Care Products has been created by Bill Vaughan over 16 years ago. As he was working as an engineer/marketing executive in corporate America, he felt when the trend of corporate downsizing was in full swing. He decided to take advantage of the experience he gained and went into business for himself. Being told by a friend about a small company that had a “miracle” product for removing odors. Bill was impressed with the product. The way it removed odors was impressive, not only due to the strength of the product, but also because of the fact that it was natural and non-toxic. As Bill decided to buy into the company, Earth Care Products was born, and they started manufacturing and selling odor eliminating products through pet stores (PetCo), on line, and pest control distributors. 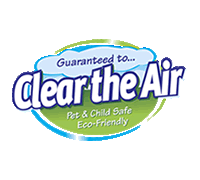 As it is a safe product that is environment friendly and does not endanger the people or animals that come in contact with it, the ‘Clear the Air’ brand has managed to develop throughout these years. As the main idea of the company is for its products to eliminate foul odors, not just mask them, Earth Care has come to be known as a company which is environment friendly, with non-toxic, biodegradable and hypoallergenic products. As they deal with substances which are safe to use around children or pets, and have no effects on skin and textiles, all the range of Earth Car products can act as an excellent fertilizer based on nitrogen. The Earth Care products work on the basis of anions (negatively charged particles) that have the ability to pull ions (positive charged particles). Odor molecules are either ionic, or travel with the help of ionic, so the natural attraction between negative and positive will appear. The odor molecules cling to the surface of the anion until an ion exchange occurs, and the odor molecule gives up an oxygen or nitrogen atom. This reaction results in total odor elimination. The significant advantage of Earth Care products is that, as opposed to other methods of controlling unpleasant odors, products should not come in direct contact with the source of odors. Earth Care works like a magnet, attracts smells and absorbs them like a huge sponge. The molecular structure of Earth Care products consists of billions of microscopic pores, which gives them an extremely high absorption surface, thus making it easier to eliminate foul smell as you also do not need to apply a large amount of product. Being created in order to make the life of their clients easier, and not burden it with chemical products, Earth Care also manages to help through their assembly and shipping, which is done in collaboration with Partnership With Industry (PWI), which provides job preparation, job placement and ongoing workplace support for adults with disabilities, thus helping the community in more ways than thought.